I posted a few days ago about the release of WordPress 5.0. As I said at the time, you can always expect a rash of new updates after a major release and this is the second maintenance release since then. There’s no drama, as these maintenance releases are applied automatically, so by the time you read this, you will probably already have it. The point of this post is to remind you to check for the other updates that aren’t automatic. Since the release of version 5.0 I’ve had a lot of updates to plugins and some theme updates. The 5.0.2 release has come with another bunch of theme updates too. None of the plugin and theme updates happen automatically, so if you are self-hosting, remember to check the updates to these components. Running old versions of plugins and themes can present a security risk, as well as leading to unexpected behaviour of your site. Especially if you are self-hosting WordPress, you might have noticed that WordPress 5.0 has been born. I’m not a WordPress aficionado, so I don’t really pay much attention to most of the WordPress new features, but something you can’t avoid is the new editor. It’s completely different. The new editor has been available for some time for the previous WordPress version as the “Gutenburg Plugin”. The dashboard has been encouraging you to try it for ages. Once you get to WordPress 5.0 you can switch back to the original editor using the “Classic Editor” plugin, that will allegedly be supported until 2021. What are/were my my first impressions? I previously tried the Gutenberg plugin and pretty much hated it, and switched back right away. 🙂 Now it is the main editor I’m going to try and stick with it. I think the first thing that might freak you out is the idea of blocks. At first it seems really odd, as it implied to me I’ve got to add a new block every time I want a new paragraph. Not so! You just type and it figures out the block thing out for you. Type “return” and you start a new block. I think I’m probably guilty of over-thinking a lot of this stuff, rather than going with the flow and just seeing what happens. I find it interesting how in some aspects of my life I’m quick to embrace change, like in the Oracle world, but in other parts of my life changes cause me problems. I think it probably comes down to what I’m interested in. I’m just not interested in blogging tools. I’m interested in blogging itself. So that’s it. Give it a go and see what you think! WordPress 4.7 “Vaughan” has been released. RESTful web services, so you can do stuff outside the main admin interface. The new “Twenty Seventeen” theme. I’ve done the upgrade on five installations and it worked fine on all of them. By the time you read this you may have gone through the auto-update anyway. WordPress 4.6.1 has been released. You can read release notes here, the changelog here, or get the full download here. Like I said, you probably won’t need the download as the auto-updater will do it’s thing anyway. WordPress 4.6 “Pepper” has been released. All 5 of the installations I manage had it listed as available, but like most new major releases, it hasn’t been set to auto-update immediately, so if you want it today you will have to log in and give the updater a nudge. 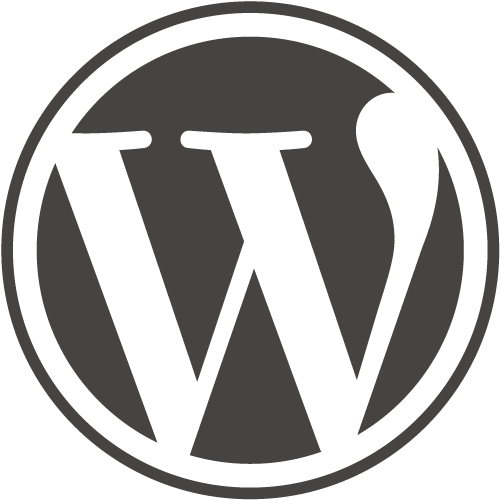 If you have a WordPress blog, by the time you read this you will probably already be running WordPress 4.5.3. It’s a maintenance release that fixes a bunch of nasty things. If your site hasn’t already auto-updated, you should probably log on and give it a nudge. I’ve got 5 different installations and all auto-updated successfully. I woke up to find all my WordPress installations had automatically updated to WordPress 4.5.2 overnight. WordPress 4.5 “Coleman” has been released. I just applied it to the five WordPress sites I manage by manually triggering the auto-update and everything went through fine. There are some updates to the standard themes that you will need to manually trigger for update, but there was no drama there either. WordPress 4.4.2 has been released.